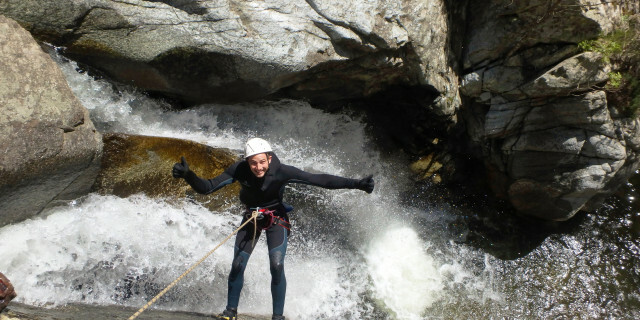 Explore France's "Isle of Beauty"
This tour is for climbers of an intermediate or expert level. Groups are limited to 6-8 people. Larger groups will be split among guides. What to bring? Athletic shoes, a bathing suit, snack (energy bars are great), water, and a smile! A few other meeting points are possible. If the current location is not convenient, please contact us for further options. The shuttle bus carries 8 people. Please let us know if you will bring your own equipment. This tour is for climbers with some experience looking to make improvements. 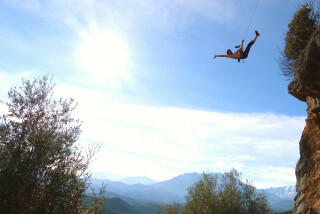 Have a climbing lesson and discover Corsica’s wildlife all in one. 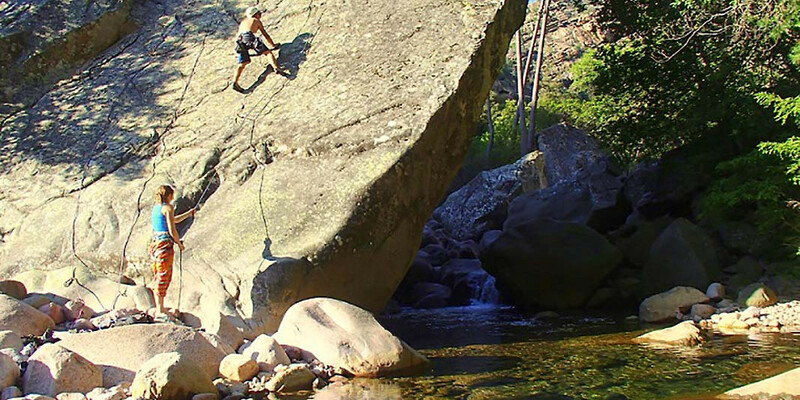 With deep forests and steep gorges, this nature paradise provides the perfect locale to expand your rock climbing knowledge. Depending on your level, your preferences, and the weather, the course may be in one of three stunning locations. 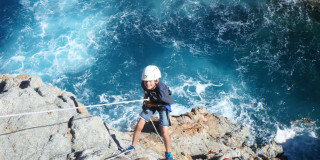 Climb the cliffs of I'ile Rousse, a town on the coast, for views of the blue Mediterranean Sea. Or you might explore the remote forests and intricate cliffs around the tiny village of Suare. 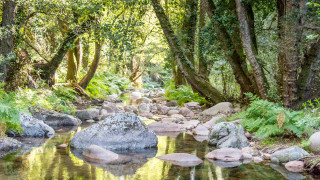 Or perhaps you climb in the Bonifatu Forest, a small part of the huge Corsica Natural Park, for excellent views at 300 m to 1,950 m (985 ft to 6,400 ft). 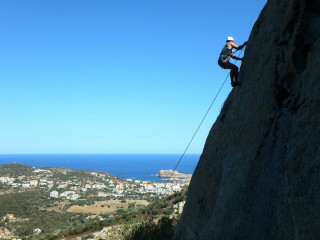 After your guide greets you at the meeting point in Calvi, a shuttle takes you to your climbing area. You may bring your own equipment if you have it, but anything you need will be provided. 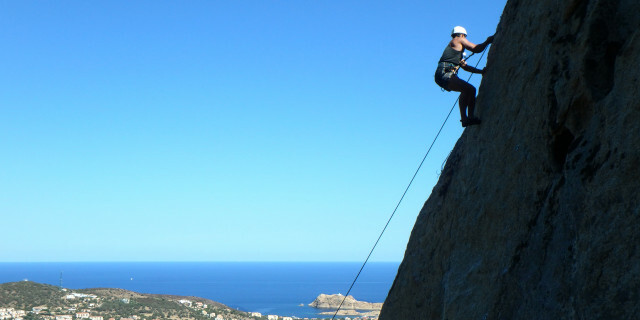 Climb high into Corsica’s nature as you learn from your expert guide. Your route may range from grades 4b to 7a if you wish to focus on top-rope climbing. Or you can discover the fun challenge of lead climbing. 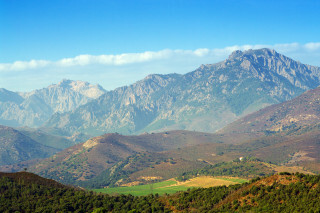 Whichever you practice, you do so in the incredible scenery of Corsica, nicknamed France's "Isle of Beauty" for a reason. No matter your level, the environment of this Mediterranean jewel provides a memorable backdrop for your new climbing expertise.